Last summer I started these little spool blocks. 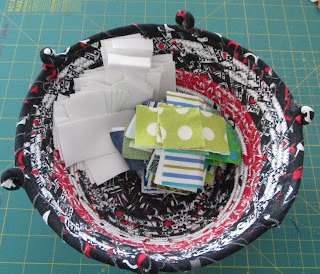 Bonnie Hunter over at Quiltville challenged us to join in and make some spools as a Leaders and Enders project. Now after a year or so, she is hosting a Linky Party for us to show off our Spools. I have many piles of blocks and took a few minutes to put some on the design wall to show you. This was maybe 1/4 of the blocks. 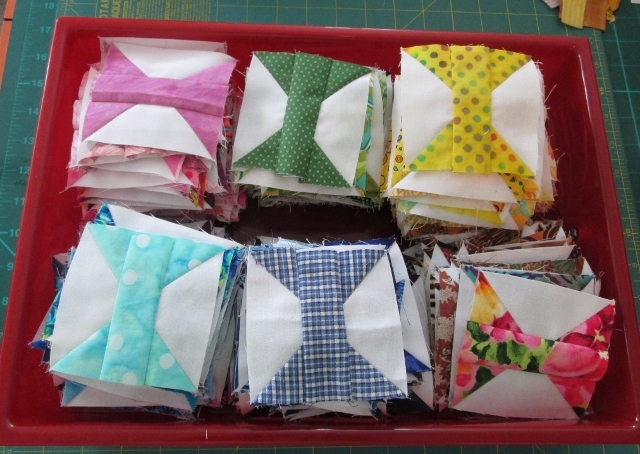 I have also been sewing scraps for the Rainbow Scrap Challenge 2013. So I cut each colour for the month and placed them in this little fabric bowl. Two challenges at one time. Here is the draw full of blocks. They measure 3 1/2". If you want to make some yourself you can find the pattern from Bonnie Here. Or maybe you want to start the next Leaders and Ender challenge. You can find the Split Nine Patch Pattern Here. I am not sure I will do this one. It's amazing how many spools you were able to complete as leader/enders. They do look cute! your spools look great so much color.they will make a beautiful quilt when your done.thanks for sharing! 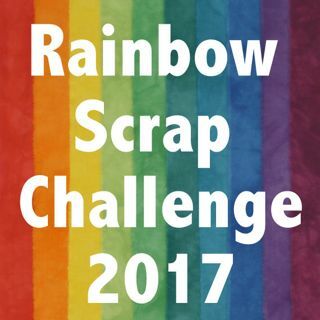 I 2 love your rainbow spools! They are going to make a beautiful quilt! I really found it easier to keep up once I started doing each color monthly too! I didn't often do them as leaders and enders..I try but preferred to just do them! Way to go on yours! Now why didn't I think of that. 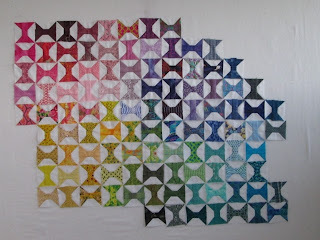 I have been looking for some pattern to do in rainbows. Stunning! Cute cute cute! I may have to make one myself.